Aretha Franklin Releases "Songs of Faith"
Songs of Faith is Aretha Franklin's debut album. Songs of Faith is a 1956 album released by R&B/soul icon Aretha Franklin. It was her very first album. 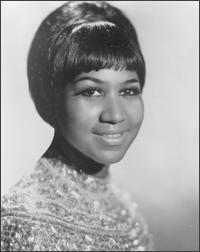 It was recorded live by Aretha at the age of 14 in her father, Reverend C.L. Franklin's church. It has been reissued numerous times under alternate titles and alternate record labels. It is known also as "The Gospel of Aretha Franklin," "Aretha's Gospel," "Precious Lord," "You Grow Closer," and "Never Grow Old" to name a few of the alternate titles. It is always known on Checker Records as Checker LPS- 10009.